CBIC, NIC and GST Council have been collectively working to curb tax evasion since the introduction of EWay Bill. 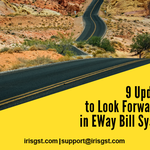 NHAIs FASTag Integration, Auto-Calculation of Distance in EWay Bill, Barring Generation of multiple E-Way Bills using single Invoice Number, and Barring of Generation of E-Way Bill for Interstate Movement by Composite Taxpayers are few measures towards this. 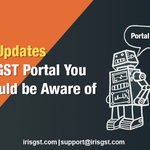 Updates: 23 April 2019 - Presently, the common portal supports the order of utilization of input tax credit in accordance with the provisions before implementation of the provisions of the CGST (Amendment) Act i.e. pre-insertion of Section 49A and Section 49B of the CGST Act. 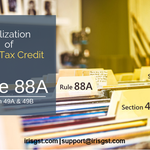 Therefore, till the new order of utilization as per newly inserted Rule 88A of the CGST Rules is implemented on the common portal, taxpayers may continue to utilize their input tax credit as per the functionality available on the common portal.Circular 98-17-2019 dated 23rd April 2019In February 2019, CBIC introduced section 49(A) Utilisation of input tax credit and Section 49(B) Order of utilisation of input tax credit under CGST Act 2018, thus laying new criteria for a registered person to discharge his/her GST liability. However, following the insertion of the amendment, many businesses raised a concern regarding the blockage and accumulation of credit under the CGST and SGST category. And such accumulation could further lead to cash flow issues wherein the suppliers would be required to pay the tax in cash even when they have the unutilised credit available in their electronic credit ledger. 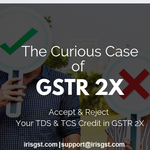 For availing GST TDS/TCS deducted by the deductors/collectors all the deductee need to file GSTR2X. 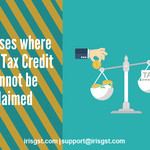 The deducted amount will appear in Cash Ledger which can be used for payment of balance amount of tax after setting off with the Input tax credit.